Has your backyard gone from a place you love hanging out to an area of your home that you completely avoid? Take your yard from boring to beautiful with these outdoor living elements that will revitalize your yard. Space: Keep in mind how much room you have to work with, and plan elements that will help you maximize the available area. Don’t worry if you have a more modestly sized yard; this just provides the chance to get creative with your use of space. 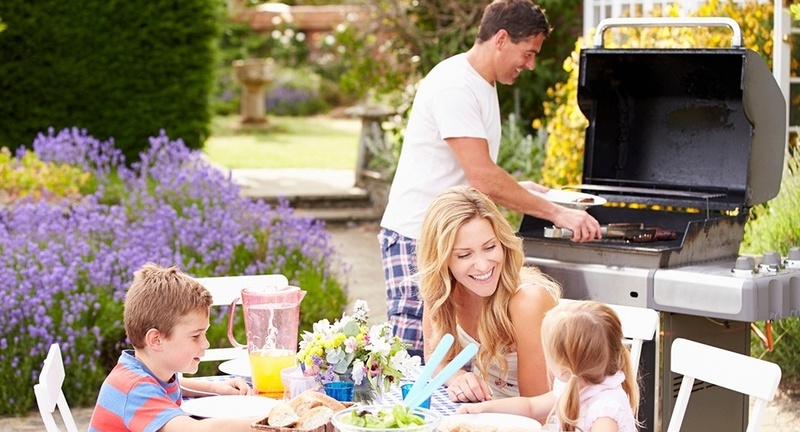 Activities: What will you, your family and your guests be using the backyard for most often? What are the existing elements (swimming pools, decks, play sets, etc.) that you may want to incorporate into your design? Atmosphere: The type of environment you want to create will affect many of your decisions throughout the process, including material, color, texture, and overall design. Consider the type of environment you want your backyard to have, from a relaxing oasis to a stimulating, welcoming place for entertaining. The options are limitless when it comes to using stone to add outdoor living features to your backyard. Here are just a few ideas that will revitalize your yard and increase enjoyment for years to come. The main function of a retaining wall is utilitarian—to keep to keep uneven earth in one. But retaining walls are more than functional. They can actually add an artistic element to any landscape by creating a smooth finish with beauty and durability. 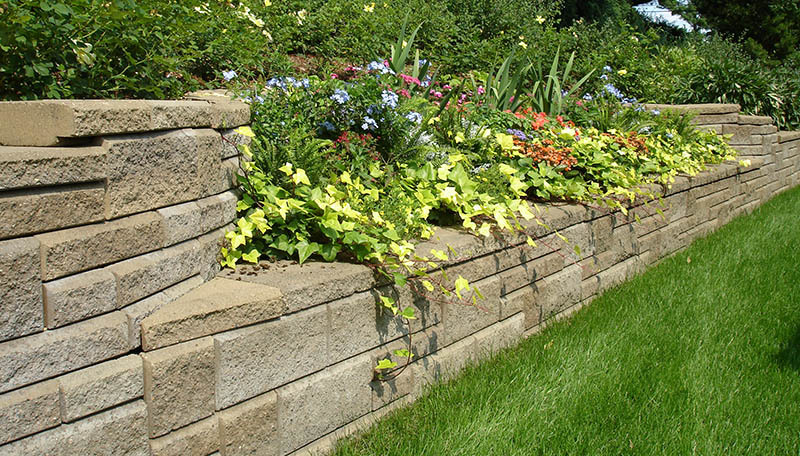 Retaining walls allow you to create elevated landscaping projects and can also introduce a wide variety of color palettes to your yard. Retaining walls can provide opportunities to add seating, areas for gardens or flower beds, and other outdoor living elements. 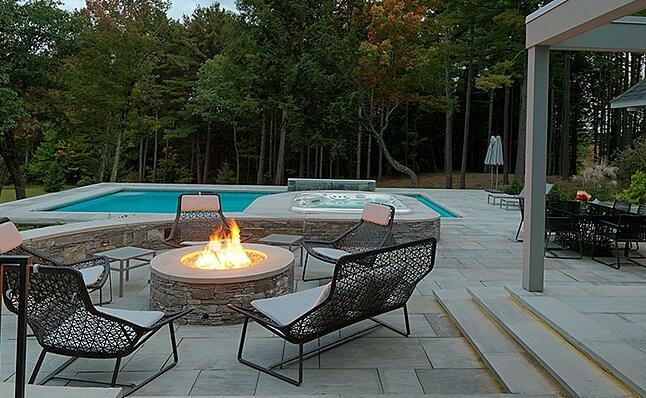 Fire pits and fireplaces are some of the most classic outdoor living elements you can add to your backyard. Gathering around the fire is something that people have always loved to do, and with the growing number of materials and techniques, it’s no wonder that fire pits and outdoor fireplaces are more popular than ever. Pay careful attention to the shape and placement of your fire feature. In order to create a cohesive backyard living space, many homeowners choose to have their fire pits or fireplaces built in to another outdoor area like a patio or deck. You can also choose to have your fire pit stand alone. 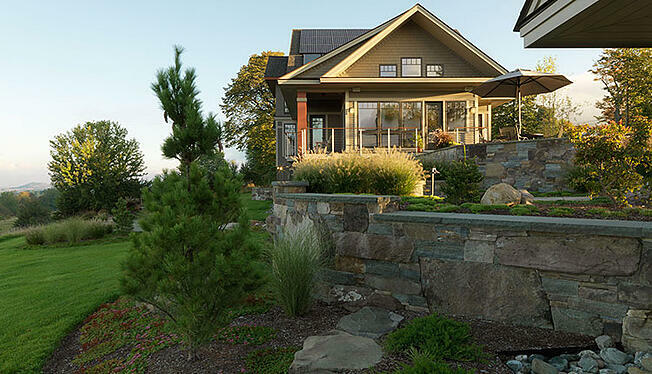 Stone walls are another classic landscaping element that carry just as much beauty and uniqueness today as ever. With endless options for types of stone, color, and configuration, the look of a natural stone wall can take any yard from boring to beautiful. Various options include the decision between rough stone and finished stone, and the differences between a dry stone wall and mortared stone wall. 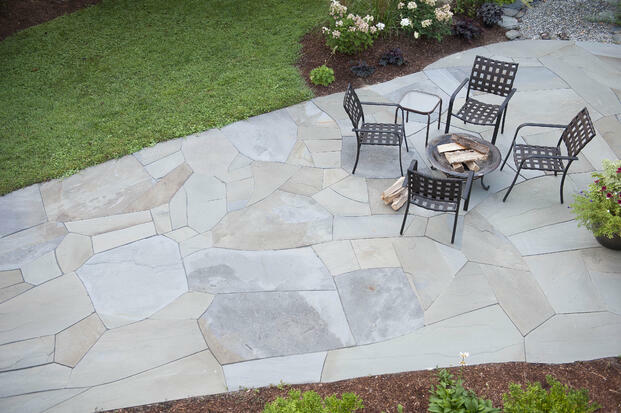 A creative walkway or patio can revitalize any backyard by bringing elements of color, shape and texture. Natural stone walkways are a rising trend among homeowners, even over the classic and traditional brick walkways that many people are familiar with—and it’s not hard to see why. The versatility of uses and aesthetics makes walkways and patios one of the easiest ways to revitalize your backyard. 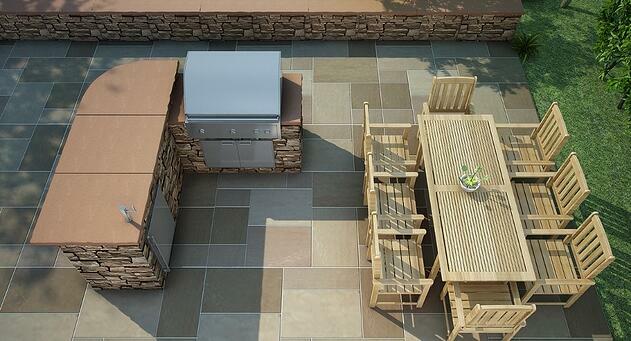 The ultimate in true outdoor living, outdoor kitchens have become increasingly popular over the years. Some people shy away from creating the outdoor kitchen of their dreams for fear that it will be too expensive or to0 much work. But in reality, building an outdoor kitchen for homeowners has never been easier. Companies like Eldorado have complete lines of pre-configured, precast concrete outdoor kitchen cabinet sets (signature kitchens) that can take your outdoor entertaining to a whole new level. Installing a hot tub in your backyard is cool enough. Surrounding the hot tub with stone? Now that’s just amazing. Not only is surrounding a hot tub with stone an ideal way to integrate it into the rest of your landscape, but it has the added benefits of creating additional seating, adding dimension to your yard’s design, and—the best part—looking great!